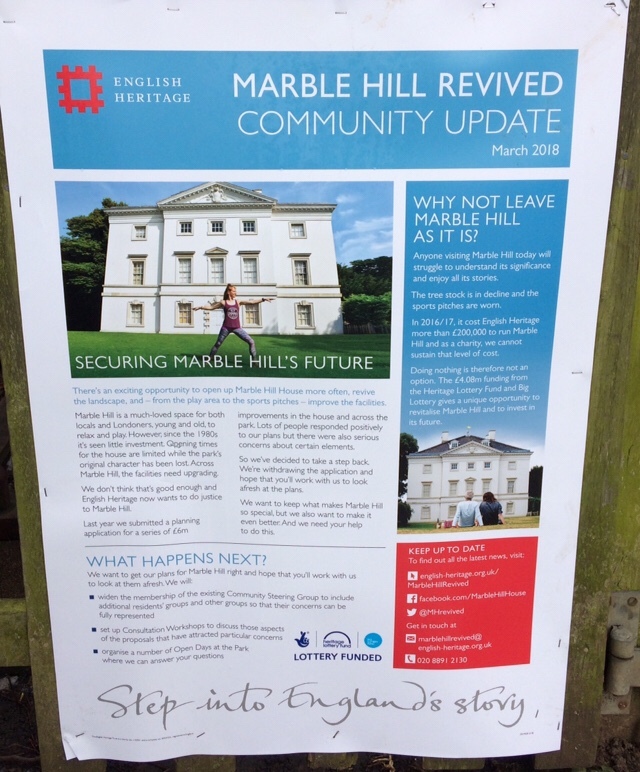 English Heritage’s 2016 plan to ‘revive’ Marble Hill House and Park met with a mixed response from locals… and of course the obligatory petition. Some welcomed the scheme to invest money in the house and park, others expressed concern that the house and grounds would be turned over to corporate jollies. weddings and coach parties from Basingstoke, and some expressed their God given right to have things remain just as they are in a ‘no change here, thank you very much kind of way’. Who was in the right? Why all of them of course! (In their own opinions). But now English Heritage has paused its planning application and re-opened its consultation. Fair play to them for listening and trying to get wider support. The house was built in the 1720s as a Thames-side retreat for George II’s mistress Henrietta Howard, Countess of Suffolk. The park was opened to the public in 1902 and it was eventually acquired by English Heritage in 1986 after the abolition of the Greater London Council. We wonder how Henrietta might have got along with maverick GLC leader ‘Red Ken’. The £6m plan included undertaking conservation work on the house and giving greater public access, improving the sports facilities, building a new play area, re-constructing an 18th century bowling alley, extending the cafe in the stable block and re-creating the gardens between the house and the river based on a plan from 1752. It was these last two which generated the most public concern. The cafe plan was seen as the gateway for hosting more corporate events, functions and concerts in the grounds. 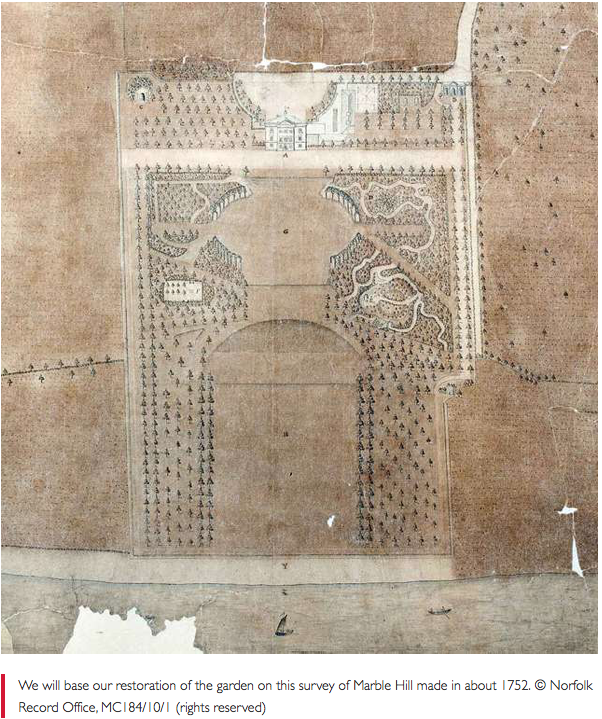 The plan to remove the copses and replace them with new trees and winding pathways based on the 18th garden plan led to all sorts of accusations including a lot of use of the emotive word ‘felling’. We wouldn’t even be surprised if the word ‘deforestation’ was used by some. However, some very recent research suggests that the despite the existence of the garden plans, the evidence for them actually existing is scant and the reality was perhaps much more consistent with what we see today. Perhaps a slight case of ‘awks’ for English Heritage that. Possible visitor numbers of nearly 1m per year were used as evidence that the scheme would ‘over develop’ the site but the park already has hundreds of thousands of users, most just enjoying the open space. English Heritage’s Abbie Connell-Smith told Twickerati, “Although we did get a lot of support for our proposals we are aware that there are also concerns about certain elements, for example the café extension, play area and restoration of the historic garden. It’s really important that we secure the broad support of the community before progressing the project further which is why we’ve taken a step back, temporarily withdrawn the planning application and launched a new community consultation programme”. 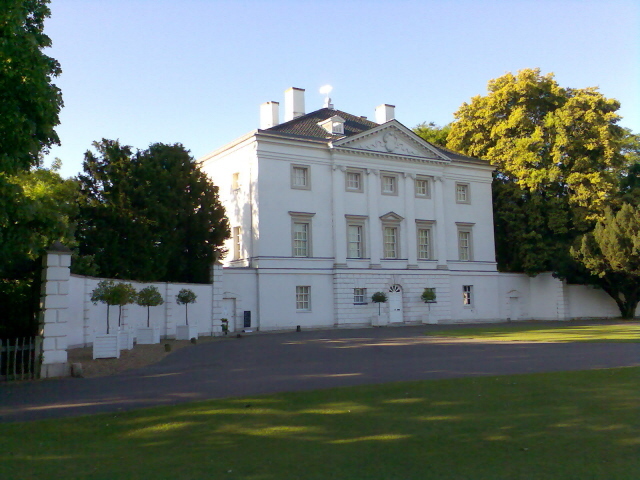 Since some of the initial more hyperbolic responses to the scheme, a ‘Love Marble Hill Park’ group has emerged to co-ordinate a more measured approach, supportive of some investment in the park but in a managed way with the emphasis on making sure Marble Hill stays at the heart of the local community. It’s even produced its own set of proposals to help influence English Heritage’s next iteration of their plan. Will the new consultation be enough to assuage the concerns of some vocal locals? Will it result in a softening on English Heritage’s plans? Dunno yet. The aim is, we are told, to “find a practical consensus on the areas of concern”. In doing this English Heritage also want to ensure the views of more residents’ groups are included, by which we assume they mean ones that may also be broadly supportive of the approach rather than against it. There will also be open days and Q&A sessions too. The view here at Twickerati HQ is that Marble Hill House and Park is in need of some TLC and investment, and that making it a more attractive destination for locals and visitors (yes, including some revenue raising activities) is a good thing as long as it’s done in a manageable way and which also promotes rather than restricts free public access. And it’s refreshing if slightly unusual to see an organisation pause to take stock of its plans and try to get a balanced view from across the community. We wonder if there are any other local organisations that could take note. 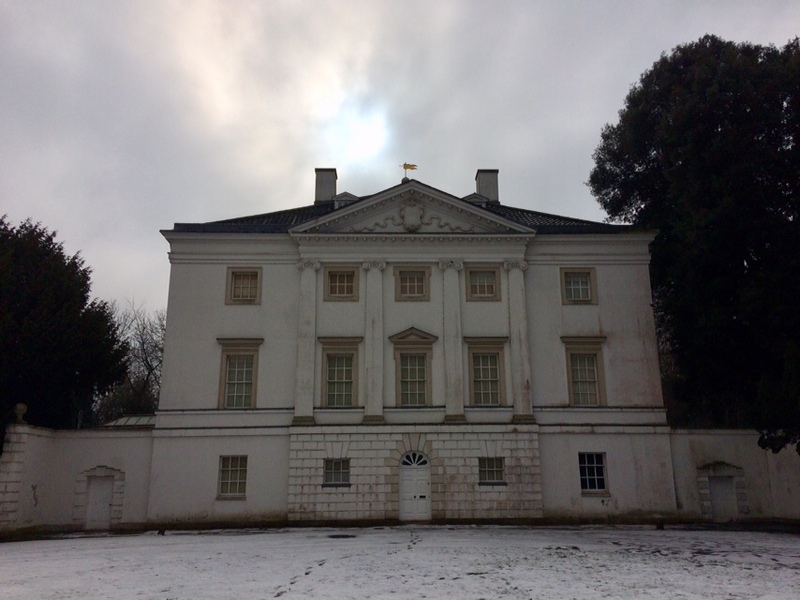 Marble Hill House in winter. Spooky. attracted 85 comments to 28.02.18. Good old Twickenham with their endless first world problems. If only they put all that energy into real problems. What we need is a brutal civil war. That would put all this planning and environment nonsense in perspective. Well Diane, rest assured that we do care about the world here at LoveMarbleHillPark.com. Last week was divided equally between working on Love Marble Hill’s community-lead proposal and helping a wonderful local charity which provides shelter, healthcare, hot food and education to displaced refugees (including children) in Greek camps. If you’d like to see the amazing work they do or volunteer yourself please go to The Three Peas website it’ll blow your mind.